Rent Bridal Car: Congratulation to James and Jean! Congratulation to James and Jean! Newly Wedded on 11 June 2011! We enjoyed your services tremendously. Thanks for the memorable experience! 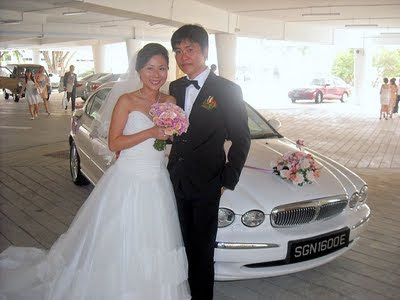 The jaguar is a dream car for James and it added a beautiful touch of vintage class to our wedding. You are impeccably professional, punctual, helpful and accommodating. Your car is really gorgeous. 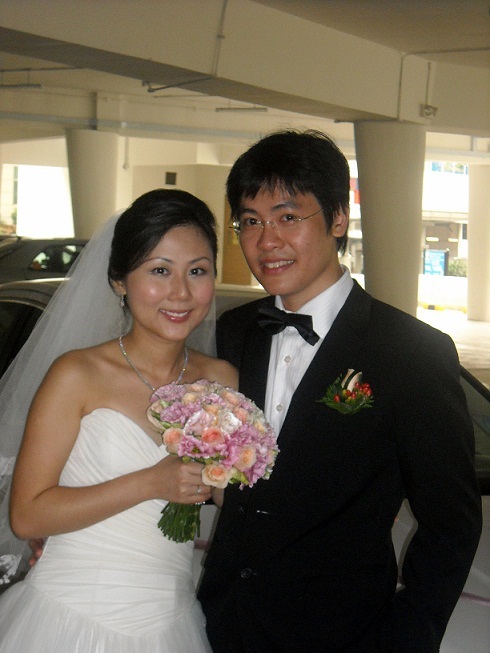 Congratulation to Mak and HuiFang!